March 22, 2017 August 25, 2017 - by HAHAPPY - 4 Comments. 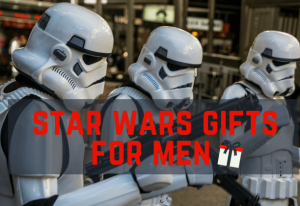 Picking the Best Gifts For a 5-Year-Old Boy is heaps of fun. 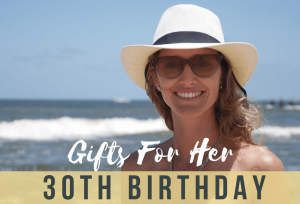 The 5-year-old boy on your gift list – whether he’s your son, grandson, or friend’s son–is growing up and becoming less dependent. Five-year-old boys are creative, love learning a wide range of new skills and eager problem-solvers. Boys in age 5 are also going into kindergarten and starting to have lessons in a formal learning environment. 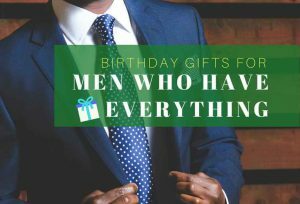 It is, therefore, important to give your 5-year-old boy gifts that will blossom their creativity, support their self-confidence, fortify their psychomotor and cognitive skills, and enhance their reading & writing skills. 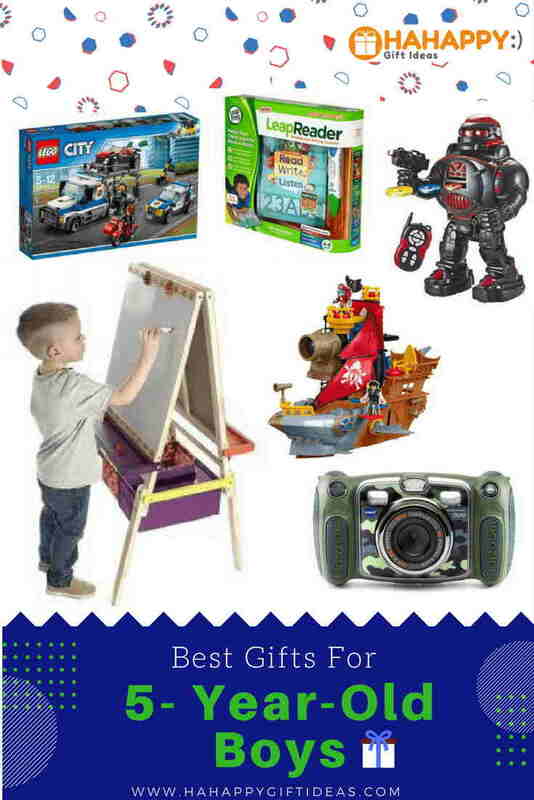 From Kids digital camera to smart learning system, art easel, Lego set, space center, ukulele, science lab play set and everything in between, these gifts are cool, fun, educational, imaginative, and will support kids development through play-based learning. 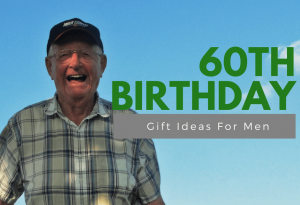 Let’s scroll down to see what we have to bring for the 5-year-old boy on your gift list! 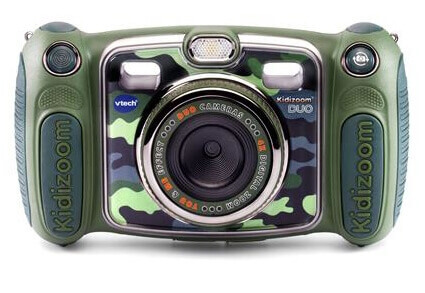 Among all the 5-year-old birthday gift ideas, this VTech Kidizoom DUO Camera is sure to be a bit hit. It is a sturdy, fun and kid-friendly digital camera with megapixel front and selfie cameras. Say “Cheese” and Smile! 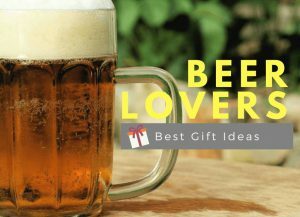 Looking for an educational gift for a 5-year-old boy who has everything? 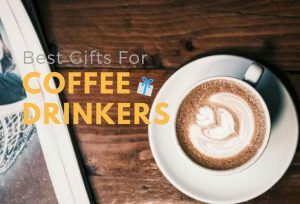 You can’t go wrong with the LeapReader. It is an innovative learn-to-read-and-write system that helps your child learn both reading and writing skills in a fun and engaging ways. Inspire your child with the B. Toys Easel Does It Wooden Art Easel. 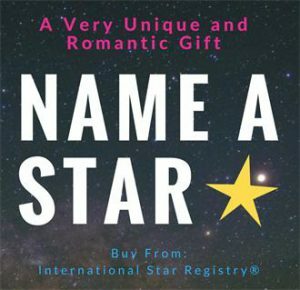 It will help spark creative expression in your budding artist. 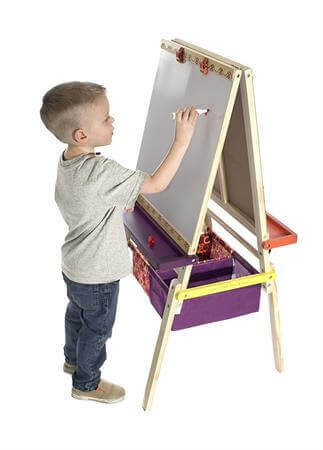 This easel is just what you would expect – useful, playful, and in high-quality. 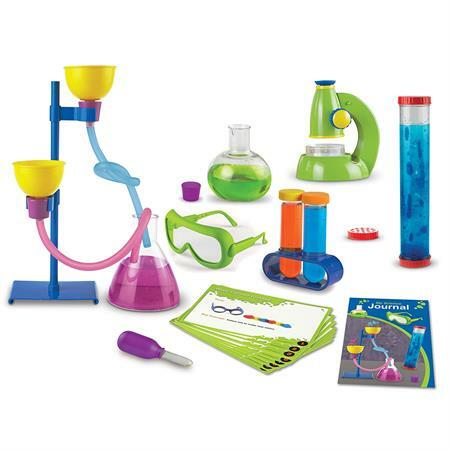 Give your child everything needed to become a scientist with this deluxe science set by Learning Resources. 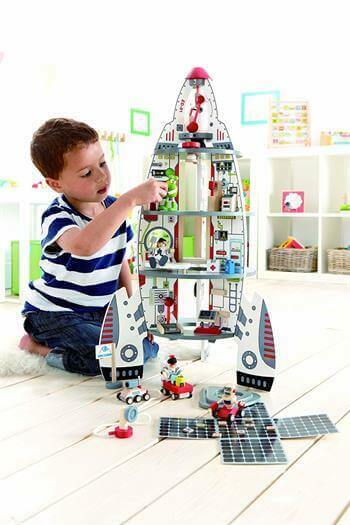 Your child will have hours of fun playtime while learning science with this great science kits! It is definitely one of the best toys for 5-year-olds! With this First Act Disney Cars Mini Ukulele, your young kid can enjoy making great music. 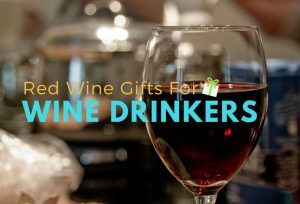 Prepare to have a talented musician running through your home! Join the action with the LEGO City Police! It is sure to be loved by little vehicle lovers and LEGO fan. 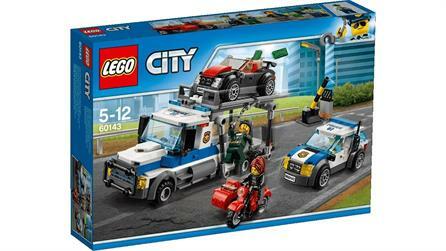 The LEGO City Police Auto Transport Heist features a police Auto Transporter, police car, crooks’ car, and crooks’ motorbike with sidecar. 3…2…1…Blast off! Whether your child loves to adventure with astronauts, aliens, or both, this Discovery Space Center brings endless fuel for imaginative explorations. Yo-ho-ho-ho! Be this a pirate ship or a shark? Actually, it’s both! 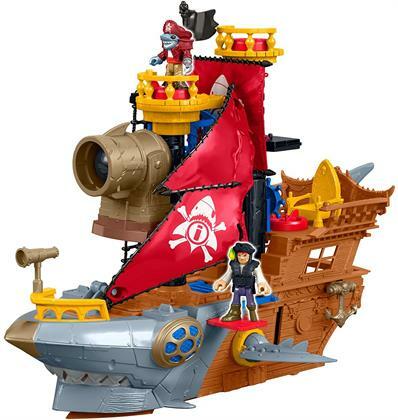 Your young Buccaneer will enjoy creating exciting high seas adventures as he uses this Imaginext Shark Bite Pirate Ship by Fisher-Price to dive deep into his imaginations. 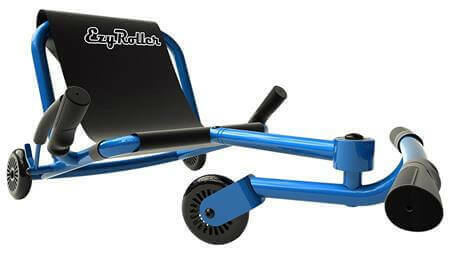 Not a bike, not a luge, not a scooter, this EzyRoller Classic Ride On moves like a snake, without pedals or chains, just using easy leg movements. 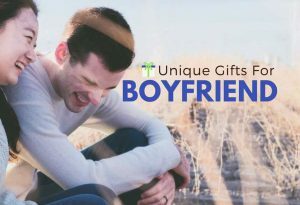 It’s safe, stable, confidence inspiring, dead easy & your active boy will get addicted in seconds. Get the game on! 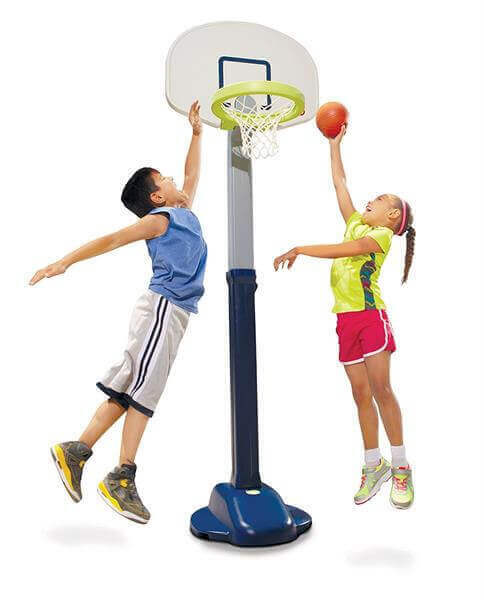 Kids can get their sports game on with the Little Tikes Adjust ‘n Jam Pro basketball set! It grows with kids, so your boy will go from kids to slam dunk all-star. 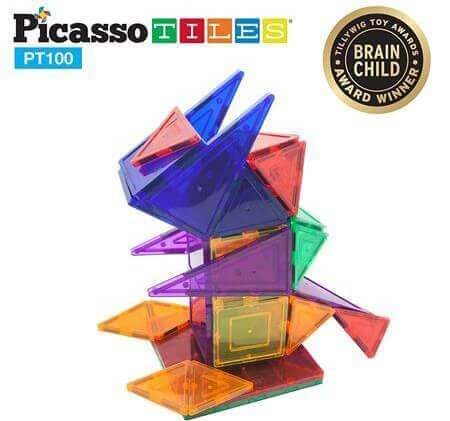 Never too early to start developing your 5-year-old boy’s creativity with the Picasso Tiles Magnetic 3D Building Blocks. 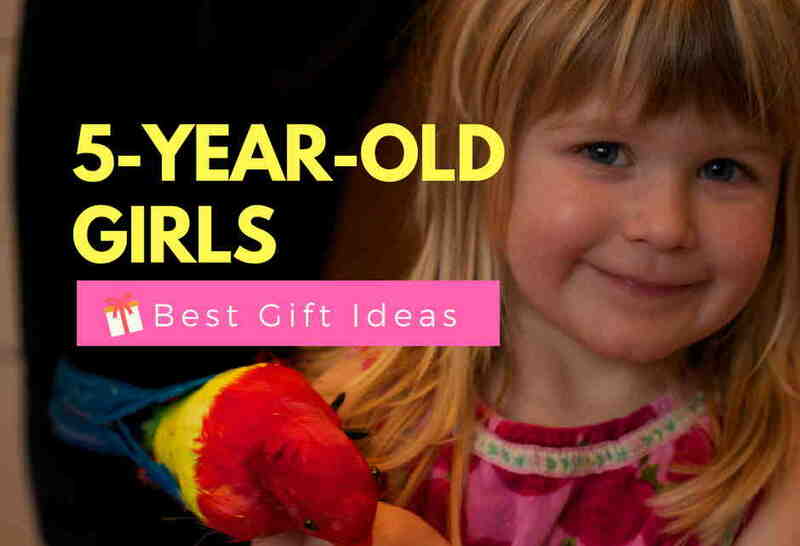 It is an amazing gift to encourage your children imagination and creativity. Dream Big and Build Big! Watch out! One of the perfect robotic toy gifts for kids. 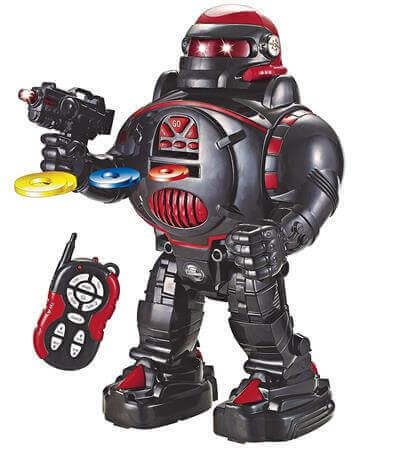 This clever ThinkGizmos Remote Control Robot walks, fires, talks, and even dances! He’s around 30cm tall, makes great FUN for young boys as well as all the family. I found the LeapReader (reading and writing system) very interesting due on this age all the kids are learning to read and write, so what a better gift than this one. Only for curiosity is this toy available only in English or they have it in different languages? 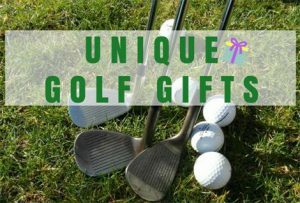 Thanks for visiting your website. 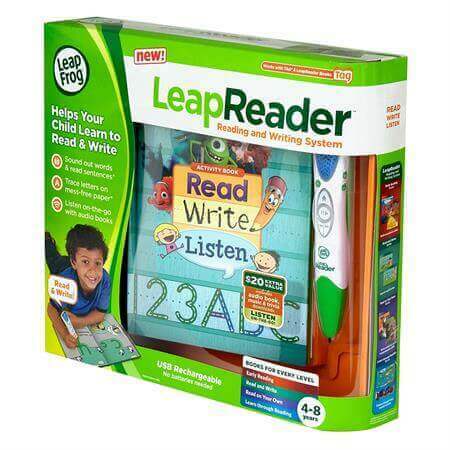 The LeapReader (reading and writing system) is available in other languages as well, check the website of leapfrog and select the languages you needed. 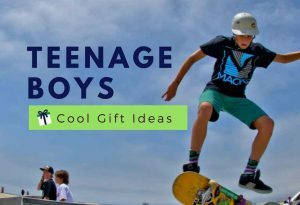 These are some nice ideas you have here and I like the way you have specified the specific age that these products would be useful for. That wooden art easel is amazing and I would have loved that as a kid. I was a creative child so i guess you can see why ;). Which of these are your favourites? Thank your for your sharing, our favorites pick is the PicassoTiles 100 Piece Set 100pcs Magnet Building, it doesn’t just for fun and entertaining, it inspires kids learning by playing without limitations.